By booking directly with us you will have a prompt attention and we will solve your needs quicker. Customer service operates from 7 AM to 12 PM (Mountain Time USA). With personalized attention. We also offer date changes or reservation extensions without cost. Charges will apply on cancellations. In addition we will attend your special requests (transport, rose petals, champagne, chocolates, etc.). Featuring 1 King sized bed, 1 Queen sofa bed & wet-bar, these rooms are sure to please with their amazing oceanfront view. * $12 usd service charge must be added per night. Ocean Master is $24 usd. 19% sales & room tax will be added to rate. Featuring 2 Queen beds, 1 queen sofa bed, a wet-bar & Jacuzzi (located on the terrace), these rooms are sure to please with their amazing oceanfront view. This Ocean Front room offers the most breathtaking view of the Sea of Cortez, while enjoying the great surf that Playa Acapulquito has to offer. Featuring 1 King sized bed, 1 Queen sofa bed, a kitchenette & Jacuzzi (located either indoor or on the terrace), these rooms are sure to please with their amazing view. Featuring 2 Queen beds, 1 queen sofa bed, a kitchenette & Jacuzzi (located either indoor or on the terrace), these rooms are sure to please with their amazing oceanfront view. With a breathtaking oceanfront view of Playa Acapulquito, the best surf spot here in Cabo, these rooms, ideal for couples, offer the best view in the house, featuring 1 King bed and a kitchenette. This room is fully equipped with 2 queen size beds, 1 Queen sofa bed, and a kitchenette. Located on the second floor, this deluxe room features a spacious balcony and hammock with both an ocean and garden view. These spacious rooms are located on both the ground and first floor. Fully equipped with 1 King sized bed, a Queen Sofa bed, a kitchenette and feature a partial view of the ocean and the garden. Located on the ground level, with a private patio, or on the upper level with a balcony and hammock, these Garden King rooms offer a garden view. Located on either the ground level, with a private patio, or on the upper level with a balcony and hammock. Policy to either change or cancel your dates for individual rooms is 8 days in advance to the arrival date, otherwise a one night charge will apply. Cancellation and "no-show" policies will apply regardless of the reason. Cancellations and modifications to all reservations have a processing fee of $40 (US) per room cancelled. Group cancellation policy differs. The cancellation policy applies to all days reserved, meaning that even if arrival is made to the hotel, if one or more nights are released without providing the "8 day written notice" a 1 night charge will apply as well. Please contact us for group rates (10 rooms or more). Rates are subject to change based upon your choice of travel dates. These rates do not apply for Christmas and New Year holiday season. Our 7 Seas seafood grille is well established among visitors and locals. With an ocean view not found in a restaurant in the Cabo area we are lucky to offer such an experience to our clientele. Our food and beverage proposal is to offer delicious, creatively crafted seafood dishes with fresh and healthy ingredients in mind. We also make it a point to leave the minimal footprint possible on our environment. Our executive chef Alejandro Rodriguez and a crew of talented food professionals put together a unique offering of menu items. Our specialty is fresh sea food from our baja waters prepared in different and creative ways, grilled and raw. Fresh seafood featured in the menus is: seabass, tuna, shrimp, lobster, oysters, baja clams, mussels, baby calamari, blue crab and scallops. We are proud to use our Mexican heritage to craft dishes that have an accent and are based on great recipes brought from the Mediterranean, Asia and the U.S. We use organic produce grown in Los Cabos region. A carefully selected wine list is offered from Guadalupe Valley (Mexico), Napa, Aldige (Italy), Colchagua (Chile), Mendoza (Argentina), Barossa Valley (Australia) and Marlborough (New Zealand). We strive to prepare healthy food for our guests. We use organic and fresh products to the highest extent. We fry with soy oil. We cook with olive oil replacing butter and cream as much as possible. We use fresh products instead of processed and packed ones. We bake our bread with whole grain. We make our own ice cream with fresh and the best quality ingredients. We use fresh seafood instead of shipped and frozen from far away suppliers. Our fruits and vegetables are harvested in local farms to the extent that we serve them when they are in season. 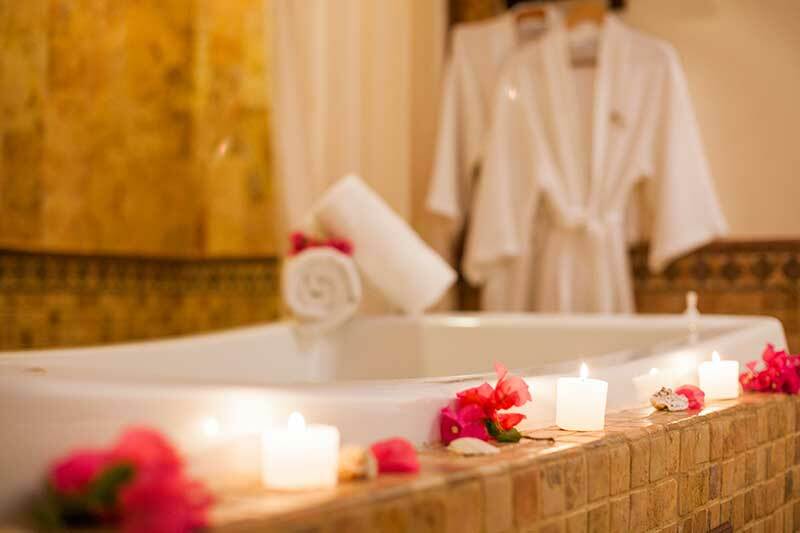 If you're looking to treat yourself to body indulgences in Los Cabos and want to feel like a queen or king while doing it, Sea Spa & Salon is the place to go. This quiet and cozy yet versatile facility at the Cabo Surf Hotel in San Jose del Cabo has a menu of therapies and treatments sure to astound you with good quality and pricing. A small reception area gives way to the salon, where manicures, pedicures, hairstyling, and make up application take place. In addition, there are 5 body treatments rooms. Enjoy a complete list of facials, massage therapies and body treatment options. Treatments use natural products created exclusively for Sea Spa & Salon by spa designer Camille. Its shampoos, conditioners, body butters, scrubs, and lotions will leave you smelling as amazing as they make you feel and all are available to go. Even the makeup is mineral based. Walk-ins welcome. Regular surf season starts in March and ends in November. However, we are blessed with smaller waves for learning all year round. Therefore, our surf school is open every day, all year round. Location is inside the Cabo Surf Hotel. To offer the best for the location, Mike Doyle Surf School in Cabo operates with 3 instructors and plenty of equipment to accommodate for a private lesson or a bigger group instruction. Uncrowded, with long ride waves, the spot is a favorite for surfers from around the globe. We have a professional surf photographer ready to take your surf daily session for $45 USD and record them on a 2 giga usb stick. Cabo Surf Hotel and its Rental Shop are located on one of the best surfing beaches in the Los Cabos area. Uncrowded, with long ride waves, the spot is a favorite of surfers from around the globe. Private surf instructors are available onsite. We offer the largest rental selection of surfboards in Los Cabos. With boards ranging from 5 to 12 feet, we stock all sizes and proven shapes. We also carry the Doyle soft boards suitable for beginners and Stand Up Paddleboards. The Cabo Surf Hotel Surf Shop is located inside the property, right by our 7 Seas Seafood Grille. You will also find here our exclusive Cabo Surf apparel! Go to mikedoylesurfschool.com and use our reservation widget. If you are a Cabo Surf Hotel Guest you'll receive a 10% discount on regular prices. Complimentary yoga Class, every Saturday morning 9:00 am to 10:30 am. Dedicated professionals in our wedding department work into details to make magic in our beach wedding events. Due to its privileged beach cove location, the property has become a favorite wedding location in Los Cabos. For dining, the banquet facilities offered by the 7 Seas rank high in the area. The Executive Chef and the restaurant manager personally supervise the events. Available reception areas include: beach area, garden promenade, pool deck, shore wing terrace and palapa of the 7 Seas. The salon estheticians perform hairdos and make up as well put together spa parties. Every celebration is a welcome challenge for the Cabo Surf Weddings Team. Los Cabos is also unique in it's striking desert landscape, dry climate, and great outdoors unspoiled beauty. Visitors are surrounded by a dramatic backdrop of endless cactus desert, cinnamon-colored mountains, and miles of white sandy beaches and clear, azure waters. If you are into sightseeing and just relaxing in this desert paradise, colonial San Jose del Cabo ( founded in the 1600's) is a peaceful town where you may enjoy shopping strolling around the plazas and stopping by in any of the fine dining restaurants. San Jose del Cabo is a pleasant city of meandering streets and lush palm groves. Today it is a town of 30,000 people and is the seat of the municipal government. The atmosphere here is subdued compared to the more rowdy and nightlife-orientated town of Cabo San Lucas. Today, Los Cabos attracts a broader range of visitors than ever before, and has gone to great lengths to diversify its offering of activities and attractions. Los Cabos, including the East Cape and Todos Santos areas, continues to attract sportsmen who flock here for world-famous fishing, outstanding diving & surfing and world class wind surfing. However, the area also draws beach lovers, golfers, honeymooners, families, and "eco-tourists". Of course, most visitors ultimately come here for Los Cabos' famous sun and sea. Situated right next to six professional golf courses, designed by legends such as Jack, Nicklaus, Tom Fazio, Robert Trent Jones Jr. Golfers have instant access to the best fairways in Mexico. Discount rates are usually available from June through September. Design: Robert Trent Jones Jr.
Jacques Cousteau called the Sea of Cortez, "the richest sea in the world", because of its abundance of marine and coastal fauna. The waters of Baja are host: marlin, sailfish, dorado, tuna and wahoo. Los Cabos is a fishing haven , there are more striped marlin caught within 20 miles of Cabo San Lucas year round than any place in the world. There are 500 fishing boats based in Los Cabos, from the moderately priced 20 to 24 foot pangas to custom-fitted state of the art luxury fishing yachts for charter. Arrangements can be made in advance through Cabo Surf Hotel. Los Cabos coast offers great spots for scuba diving and snorkel. Underwater visibility can reach 120 feet at times. Water temperatures can soar into the low 80's in summer and the 70's at other times of the year. Several shipwrecks, caves and canyon dives are available. The most popular dives include Pelican Rock, Chileno, Santa Maria, Palmilla, Cabo Pulmo and the Sand Falls. The National Marine Reserve of Cabo Pulmo in the East Cape offers shallow water dives with colorful fish on a live coral reef (the only one found on North America's west coast). Just off the tip of Land's End in Cabo San Lucas, you'll find the undersea Sand Falls, discovered by Jacques Costeau,. A cascading fall of sand forms a unique spectacle on this wall dropping 1,200 feet. This 90 foot deep water dive offers a glimpse of some of the tropical sand larger fish. Please ask for further information on how to set up your diving & snorkel adventure! From January to May, these gentle giants make their migration from the artic waters of Alaska down South. An estimated 11,000 grey & blue whales make this journey of over 10,000 miles to bear their calves and frolic in Pacific Coast lagoons to the north of Los Cabos. Some continue south, veering around Land's End and into the warm waters of the Sea of Cortez. So basically, we can say that these amazing mammals are all Mexican!! Day air tours and multi-day land tours are available. Cabo Surf Hotel is part of "Balderrama Hotel Collection" a Mexican owned and operated hotel company with properties located in Copper Canyon, Mexico. A magnificent canyon land comparable in size and depth to the Grand Canyon in Arizona. An incredible place, land of the Tarahumara Indian tribe (well known by their stamina, running long hours on end) and only accessible by the "Chihuahua al Pacifico" train ride. The group is known for its boutique resorts and personalized service. Each offering an authentic architecture, attentive service and unique locations. You are welcome to enjoy our hospitality in San Jose del Cabo and in the majestic Copper Canyon. 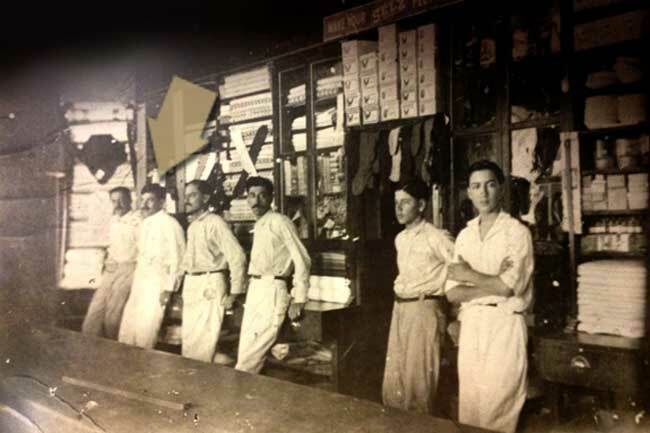 Back in 1913, Prospero Balderrama, a self taught, intelligent young man from Choix, Sinaloa, Mexico, worked in a general store and with hard work he later opened his own. That started a life long entrepreneurship career that included the addition of several stores in different towns. Towards the end of his life and with the support of his 5 sons, the company had stores that sold steel, hardware, wood, sports equipment and the first hotel. In the years that followed, each son kept ownership of the specialty business they had been managing and Balderrama Hotels & Tours was born. Cabo Surf Hotel is proud to be part of a hotel company founded with solid management principles that have lasted over the past 100 years. For questions or comments, please send us a message. Cabo Surf Hotel retains all copyrights for any text, graphic images, and software owned by Cabo Surf Hotel. You may not mirror, modify or otherwise alter any files in this website without written permission from Cabo Surf Hotel. According to the provisions of the " FEDERAL LAW of Personal Data Protection " PROMOTORA SURF ROYALE, SA DE CV claims to be a company legally incorporated under Mexican law, established and located in, PLAYA ACAPULQUITO KM. 28 LOC. LA PALMILLA, SAN JOSE DEL CABO, BCS. MÉXICO. Also manifests to be responsible for the processing of their own personal data. Privacy Office located at: Same location. Privacy Office Phone Number: (624) 142-2676 Email: info@cabosurfhotel.com. Personal information.- Any information concerning an identified or identifiable natural person. Owner.- The individual (HOLDER) who is identified or to whom the personal data belongs. Responsible.- Individual or private character who decides about the treatment of personal data. Treatment.- The gathering, use (including access, management, use , transfer or disposal of personal information) , disclosure or storage of personal data by any means. Transfer.- Any communication of data to someone other than the person responsible of the treatment. ARCO Rights.- Rights of access, rectification, cancellation and opposition. Tacit Consent.- It will be understood that the owner has consented to the processing of data, when the user has been exposed to and does not oppose the available Privacy Notice. Your personal data will be used for the following purposes: Tax purposes, Labor Purposes, Marketing purposes. WAYS TO COLLECT YOUR PERSONAL INFORMATION. For the activities specified in this privacy notice, we may collect personal information in several ways: when you provide them directly to us, when you visit our website or use our online services, and when we get information through other sources that are permitted by law. We do not collect your personal data in this way. IMAGES AND SOUNDS COLLECTED BY VIDEO SURVEILLANCE CAMERAS. The images and sounds recorded by Video Surveillance cameras will be used for purposes as specified in the Privacy Notice. Those are considered sensitive data affecting the most intimate sphere of the proprietor, or whose misuse can lead to discrimination or involves a serious risk to it. In this privacy notice we omit the use of personal information considered sensitive. LIMITATION OR DISCLOSURE OF YOUR PERSONAL INFORMATION. PROCEDURE TO ENFORCE RIGHTS ARCO. You have the right to access your personal data that we have and the details of their treatment and to rectify if it is inaccurate or incomplete; cancel it if you deem it's not required for any of the purposes specified in this privacy notice, if they are being used for purposes not consented or have completed the contractual or service relationship, or object to the processing thereof for specific purposes. The process begins with the filing of the application related to the Arco rights, at the location of our Privacy Office that was duly noted at the beginning of this privacy notice. Your application must contain the following information: Name of the holder of personal data, address, or any other means of contact, Documents proving their identity and personality, Clear and precise description of the personal data, Any other document that facilitates the location of the data. The period to accommodate your request is as follows: 20 days. Your personal data can not be transferred into and out of the country, or treated by people outside the company. We promise not to transfer your personal information to third parties without your consent, except as otherwise provided in Article 37 of the Federal Law on the Protection of Personal Data Held by Private Parties and to make this transfer in the terms established that law. CHANGES TO NOTICE OF PRIVACY. We reserve the right to make changes at any time or update this privacy notice to the attention of new legislation, internal policies or new requirements for the provision or offer of our services or products. The “OWNER" is obligated to keep this notice updated, for consultation. This in order that “OWNER" is in ability to exercise their rights ARCO and thus keep abreast of any changes by notice to the last email you have provided. IWe do not use web beacons to collect information from you. The parties state that this notice will be governed by the laws applicable in the State of Baja California Sur in particular, by the provisions of the Federal Law on Protection of Personal Data. If you believe that your right to protection of personal data has been injured by any conduct of our employees or our actions or responses, presumably in the treatment of your personal data or there is any violation of the provisions of the Federal Data Protection Act Personal Data Held by Private Parties, you may file a complaint or file complaints with the IFAI.